LOS ANGELES, CA, April 5, 2017— R Dub!, Director of Programming for Z90 (XHTZ) and Magic 92.5 (XHRM) in San Diego and Creator, Host and Producer of internationally syndicated hit weekend radio show Sunday Night Slow Jams, partnering with non-profit Water 4 Kids International, and listeners, friends and colleagues across the U.S. radio industry, celebrated the delivery of a water well and clean water to Nyakoi Akuoro Village in Northeastern Uganda last week. 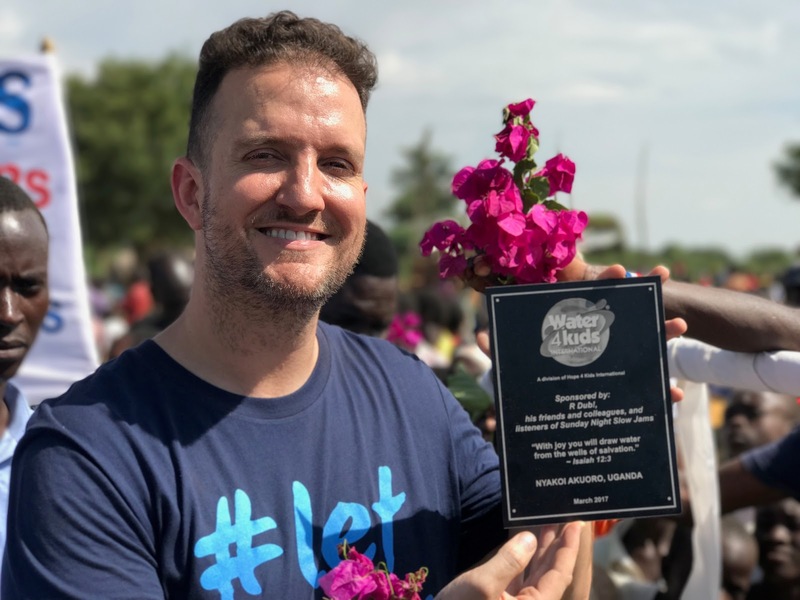 R Dub!, a world travel enthusiast, returned to Africa on Wednesday, March 30, 2017, and cut the ribbon for the new well on behalf of “Slow Jams 4 Kids”, the global charitable initiative he launched earlier this year. A video of the ribbon-cutting may be viewed at: http://www.slowjams4kids.com/. 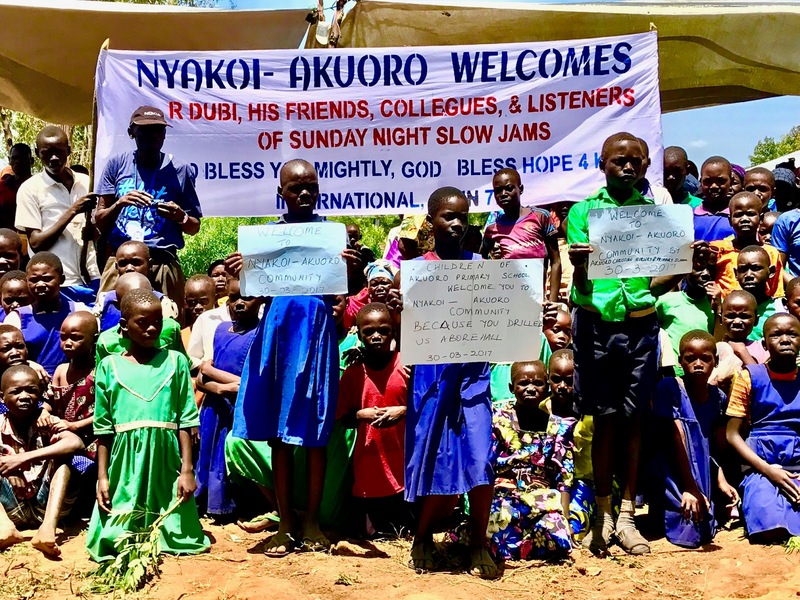 “Slow Jams 4 Kids” completed a successful fund drive in just 26 hours after the initiative’s announcement in January, raising $10,500 from listeners, friends and colleagues in radio to provide the village with a water well and clean water for the families there. Construction of the well began shortly thereafter. R Dub! was inspired to take action after his first trip to Africa in December. What he saw there was unthinkable: Nyakoi Akuoro Village had no clean source of water, and instead, villagers were forced to walk over a mile to a dirty water source--a disease-infested pit, full of mosquitoes and sickness. The bad water source caused numerous problems, including fights at the source and domestic violence. Its contaminated water (shared by animals) led to diseases including typhoid and cholera. Long lines led to children missing school because they spent half the day fetching water. A young child even fell in and died. The best news: Slow Jams 4 Kids will fund a new water well every year for needy communities around the world and has already started digging a second well in the Aminit Border village in Uganda. 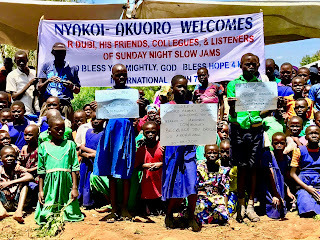 To find out more about the next village that Slow Jams 4 Kids is bringing a well to, and how you can help, please visit www.slowjams4kids.com. Benztown is a leading international radio imaging, production library, programming, jingles and voiceover services company with over 2,300 affiliations on six different continents. In 2016, Benztown was named to the prestigious Inc. 5000 by Inc. magazine for the fourth consecutive year as one of America’s Fastest Growing Privately Held Companies. With studios in Los Angeles, New York, and Stuttgart, Benztown offers the highest quality audio imaging workparts for 20 libraries across 13 music and spoken word formats including AC, Hot AC, CHR, Country, Urban, Rhythmic, Classic Hits, Rock, News/Talk, Sports, JACK, and Alien Imaging's AI-FX1 and AI-FX2 sound effects libraries. Benztown’s proprietary web-based imaging solution, Benztown Branding, is used daily by nearly 1,200 broadcast radio stations and digital services worldwide. Benztown provides custom VO and imaging across all formats, including commercial VO and copywriting. Benztown Radio Networks produces, markets and distributes high quality programming and services to radio stations around the world, including: The Todd ‘N’ Tyler Radio Empire, Hot Mix, Sunday Night Slow Jams with R Dub!, Remote News Service, Vipology, Mr. Master, Explicitly Old School With Sir Mix-A-Lot, Nessa On Air, Dawson McAllister Live and Flashback. For more information, visit www.benztown.com.